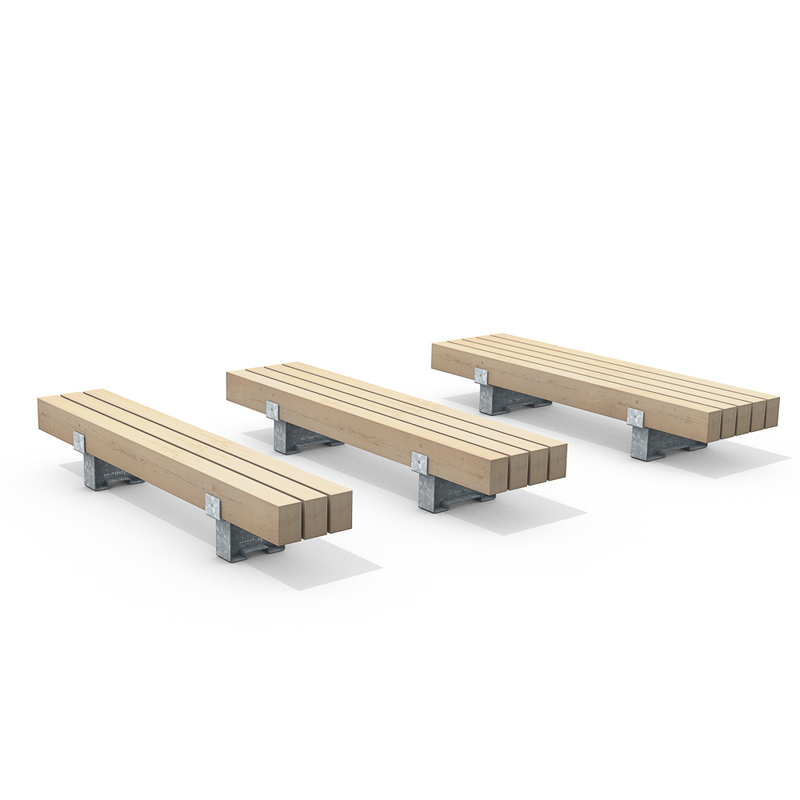 Heavy-Heavy Industry Benches feature heavy wooden beams (W-Wood) measuring 14x21 cm - 5.9”x8.2” and mounted on sturdy supports with an industrial appearance. The double stainless steel Streetlock® system extends the lifespan because the beams are easy to rotate, even after ten years. 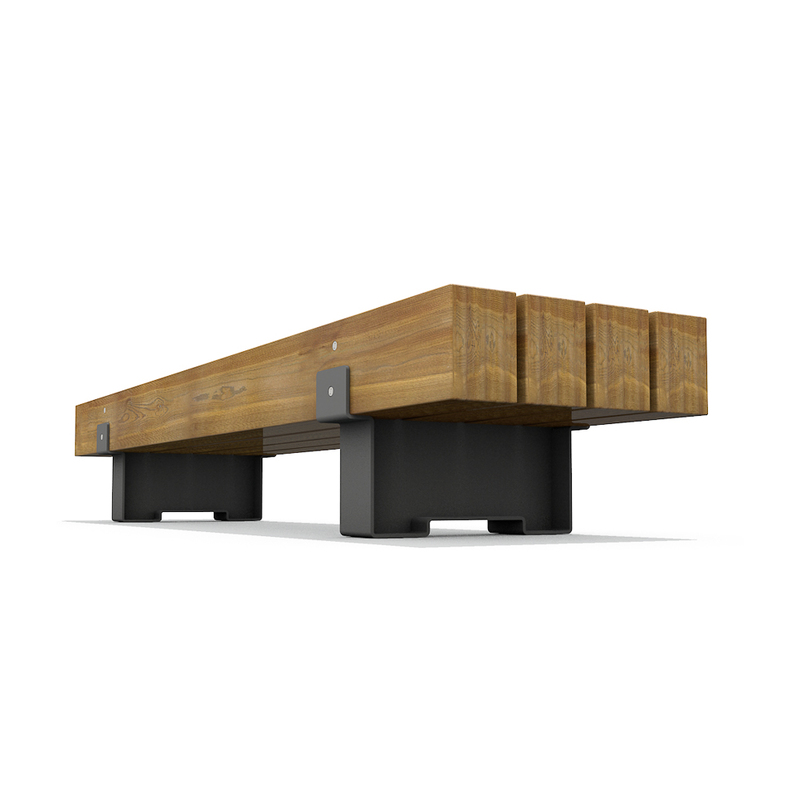 An attractive connecting support unit enables extra-long bench configurations. The supports are made of hot-dip galvanized steel, CorTen or powder-coated steel. 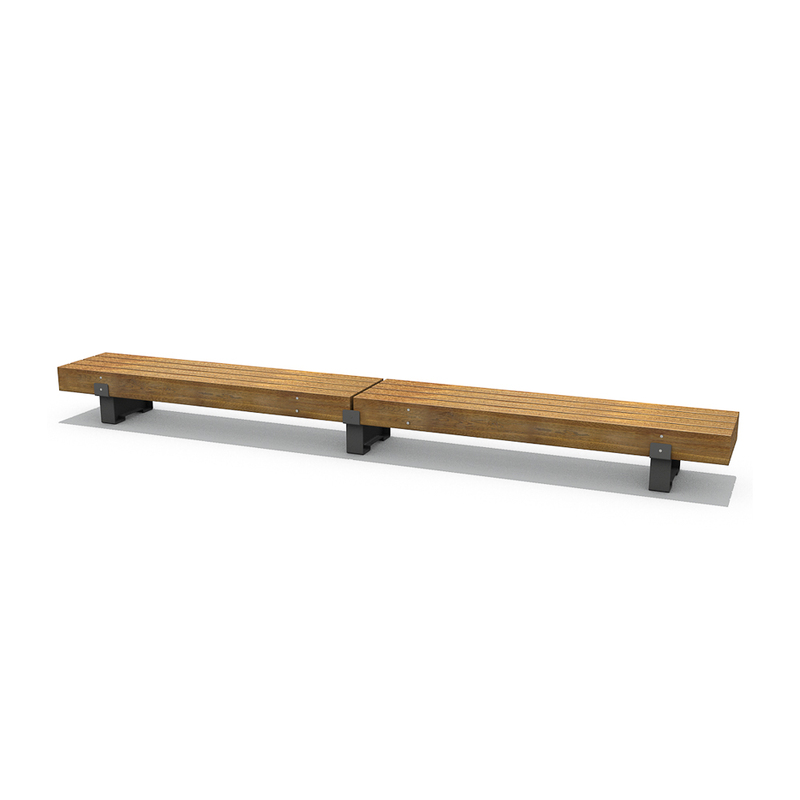 The 3-, 4- and 5-slat benches come in Heavy-Heavy standard lengths of 225, 275 and 325 cm, (89”, 108”, 128”) etc. 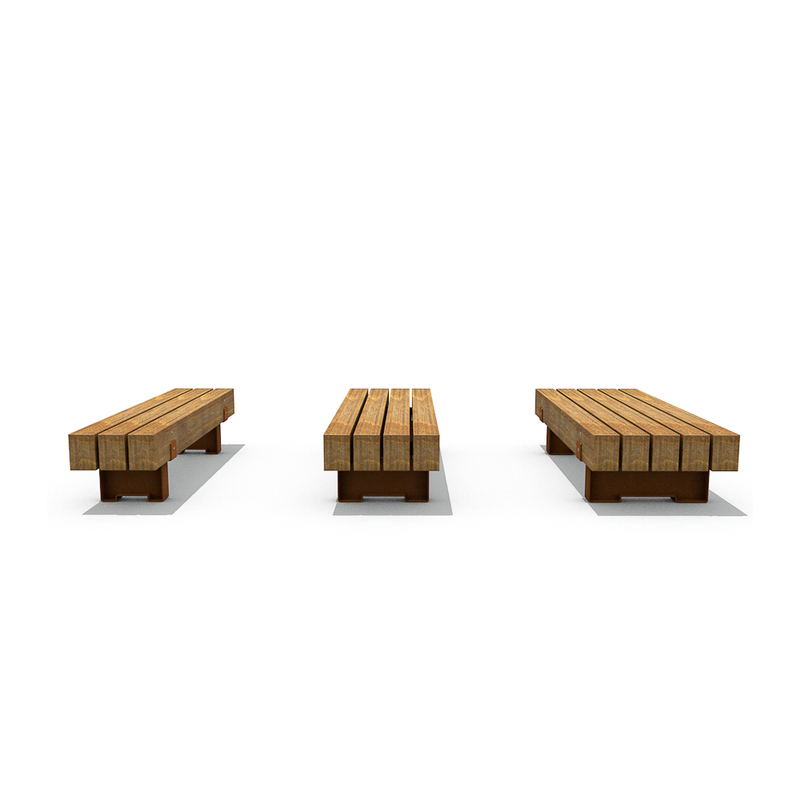 Available in standard lengths of ca.225, 275 or 325 cm | 89", 108" or 128"
Standard seating depths are ca.30 cm (2 beams), 46 cm (3 beams), 62 cm (4 beams) or 78 cm (5 beams) | 12, 18, 24" or 31"